The Ukrainian Helsinki Human Rights Union together with the Ukrainian Institute for the Future organized a roundtable dedicated to the search for legal mechanisms to prevent impunity at the time of the conflict in eastern Ukraine. The fighting in the East has long been a matter of daily concern for Ukrainians. Many of them start their day with reading the news on this topic. Even if not everyone personally knows friends-soldiers or displaced persons, this does not mean that the issue does not bother them. 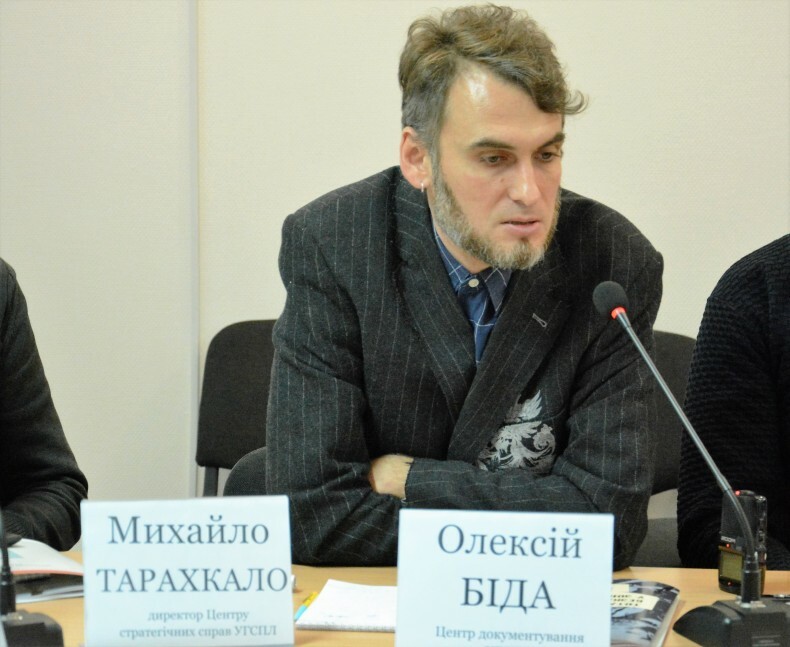 On Monday, October 10, 2016, the Ukrainian Helsinki Human Rights Union together with the Ukrainian Institute for the Future held the roundtable “In search of legal mechanisms to prevent impunity during the conflict in the East.” The topics of the meeting were the war crimes: illegal detention and slave labor in the ATO zone. The special attention during the discussion was given to determining the status of captives for further legal actions to resolve the situation in the occupied territories and to help the affected people. Representatives of law enforcement bodies of Ukraine, international experts and representatives of local NGOs and directly to individuals who have been captured by self-proclaimed “republics” participated the roundtable. Nadia Volkova, the editor of the Report and lawyer of the Strategic Litigation Center of UHHRU, noted that the present work is only the initial steps in the investigation of the war crimes. The previous report of the Union, released last year, received a negative evaluation of the Prosecutor General and was received on the own account by them. The lawyer stressed that the study prepared by the human rights organizations is not an accusation against public authorities of inaction, but an offer to cooperate. “By doing our work, we do not want to say that the Office of the Prosecutor General works badly or that the Security Service do not to do the full amount of work. We want to say that there is a problem here and it should be solved and that law enforcement agencies are key stakeholders and participants in the process of solving these problems“, said Nadia Volkova. Referring to the recent briefing of the Security Service, during which it was noted that non-governmental organizations, including international, do not collect evidence on captives. Nadia added that currently, the professionals of the Union identified 27 illegal detention centers organized only in the occupied territory of Donetsk region. Earlier the official reports informed about eight such centers. The editor of the Report stated that UHHRU is ready to share the evidence with the Security Service of Ukraine. During the roundtable, Anton Ruban, the representative of the Prosecutor General Office, said that according to the data available for 2014-2015 more than 62 illegal detention centers were found there. There were around 3 000 soldiers and civilians. According to him, currently, they interviewed 675 victims. The majority of them testified that they were tortured. 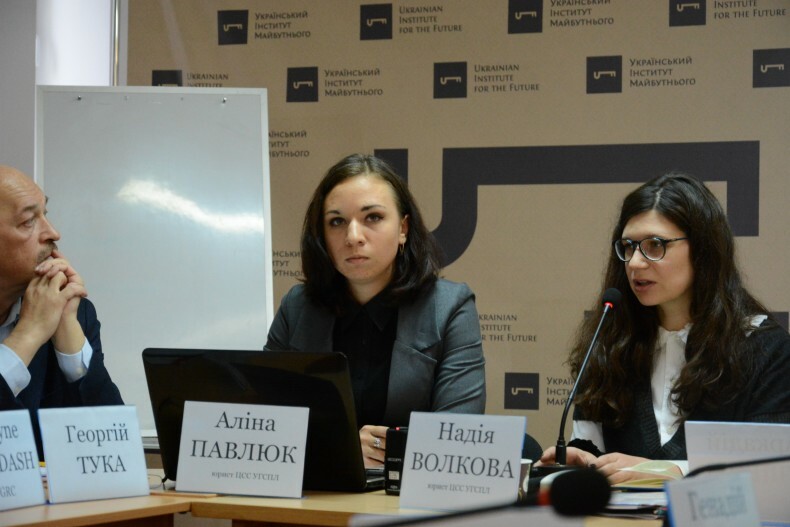 Alina Pavliuk, the lawyer of the Strategic Litigation Center of UHHRU, emphasized that the key issue of the discussion was the status of prisoners of war. Thus, the Law of Ukraine “On combating terrorism” defines the term “hostage,” which treated victims of the events in eastern Ukraine. However, as Alina Pavliuk noted, the legal safeguards for this category of citizens do not enshrine in its provisions. In this situation, more accurate are the provisions of the Geneva Convention of 1949 relative to the Treatment of Prisoners of War. In this study, UHHRU presents work of the Centre for documentation. Its coordinator Oleksii Bida said that the employees of the Center interviewed 200 people who were in captivity in the occupied territories. Half of them were soldiers. They established facts of torture, ill-treatment and 10 cases of extrajudicial killings, which resulted in killing about 50 people. As Oleksii noted, the victims were not only military but also civilians. For example, activists and citizens who helped the Ukrainian military, but stayed in occupation after the Battle of Debaltseve. The human rights defender stressed the need to consider how to protect people from possible executions. He also spoke about the severe cases of forced labor in the occupied territories. As a result the captives gain chronic diseases and disability. These people need state aid. 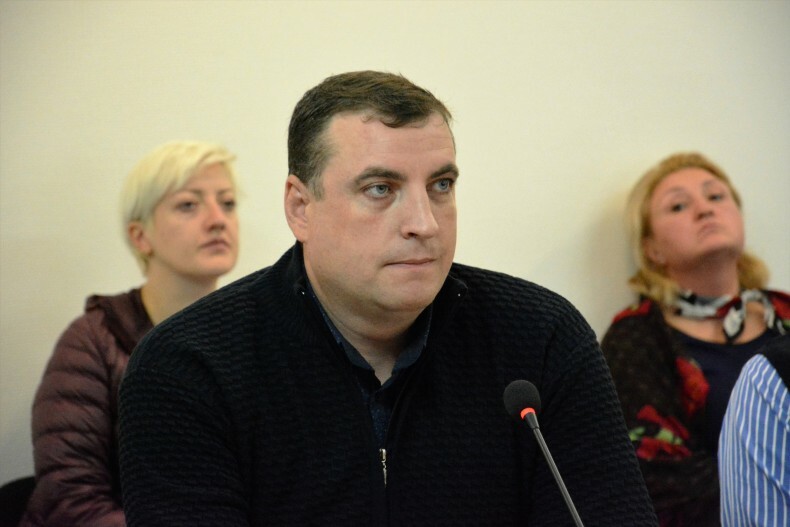 During the roundtable, the representative of the NGO “Yurydychna Sotnya” [Legal Hundred] also mentioned the above-mentioned problems and added that civilians, who survived the captivity, now can rely on state assistance only if they obtain disability. The most critical is the issue of exchange. Advocates stress the importance of the process of engaging relatives of prisoners of war. 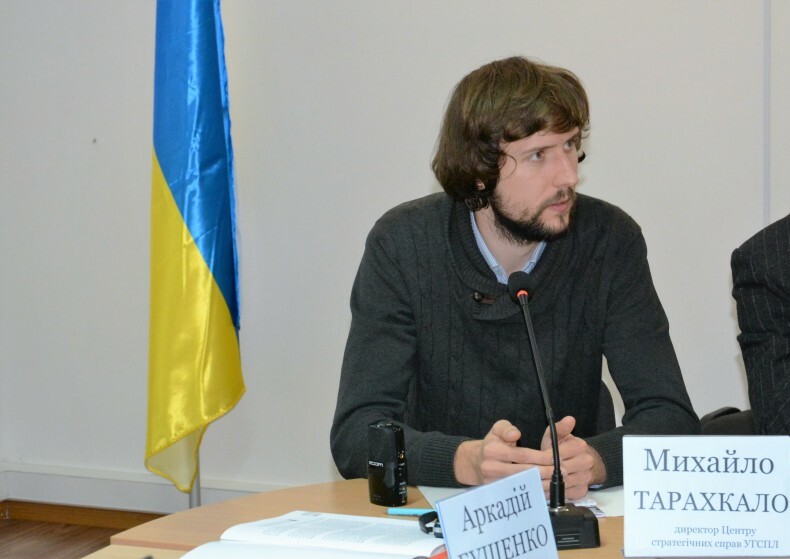 Mykhailo Tarakhkalo, the Director of the Strategic Litigation Center, said about the need for access of relatives to the exchange process, systemic investigations of war crimes and information about the status of captives. In particular, he stressed the urgency of systematic collection of evidence. The collected evidence would be used in the future to prove the guilt of suspects. A vivid illustration of this need was the story of Liudmyla, a sister of Serhii Hlondar, the soldier of the 3rd separate special operations regiment of the Armed Forces. 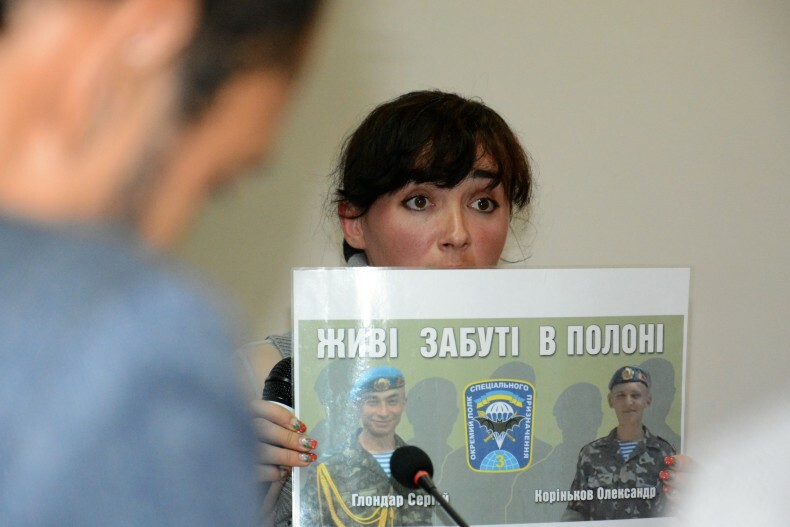 Her brother, a Ukrainian soldier, is in captivity since February 2015. He was captured in the result of the ambush near Debaltsevo, as terrorists informed the relatives without giving details. The location of the captive was confirmed the Office of the Prosecutor General and Armed Forces soldiers released in April last year. Currently, the sister of Serhii emphasizes that there is no actual information about the location of her brother, as well as his colleague Oleksandr Korinkov. “In August, we met a UN representative Fiona Frazer, who visited the captives there and handed out letters. But I want to tell you that during a personal conversation, when she was shown photos of my brother, she did not recognize him. There could be any guy”, said Liudmila Hlondar. She said that another problem is the work of the district police (then militia). The investigator demanded from Serhii’s mother to write an explanatory note under what circumstances her son was captured, and confirm his DNA. This happened 7 months after the first message. Inconsistent actions of law enforcement officers were suspended only when the family appealed to the Security Service of Ukraine. 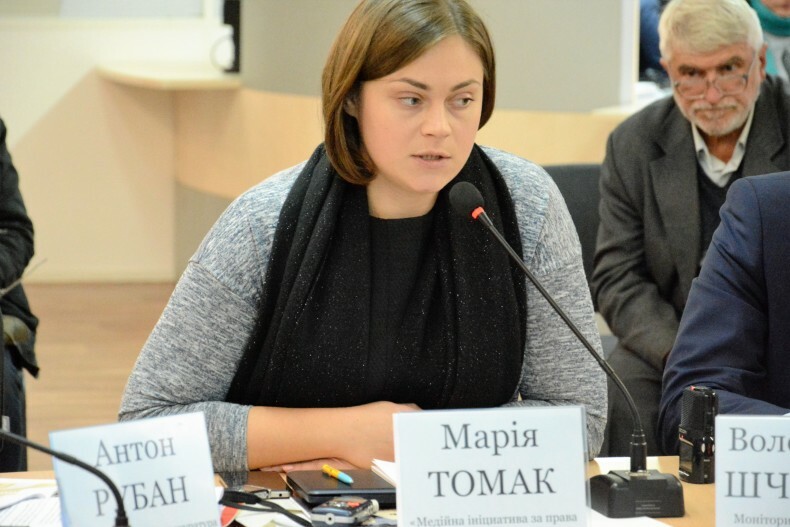 Maria Tomak, the coordinator of the Media Initiative for Human Rights, stressed the transparent contacts with relatives of hostages. The human rights advocate touched the issues of the political prisoners of Kremlin. She expressed distrust in state authorities in this matter. As an example of one of the reasons for such distrust, Maria Tomak cited the case of M. Karpiuk and S. Klyh, which UHHRU also deals with. “Lawyers were offered not to lodge an appeal, referring to that “we are about to exchange of them.” Fortunately, the lawyers have not followed the recommendation and filed the appeal. There is no advance in the negotiations, as I understand it, and if no appeal has been filed, even a tiny chance that ever be able to return these individuals through the mechanism of the European Court of Human Rights would be neutralized. If this case crumble before the European Court, there is no doubt that this will be another great shame for Russia,” said Maria Tomak. There is still an acute need to use international practice regarding the release of captives in circumstances where there are disputes about the status of the conflict in eastern Ukraine. 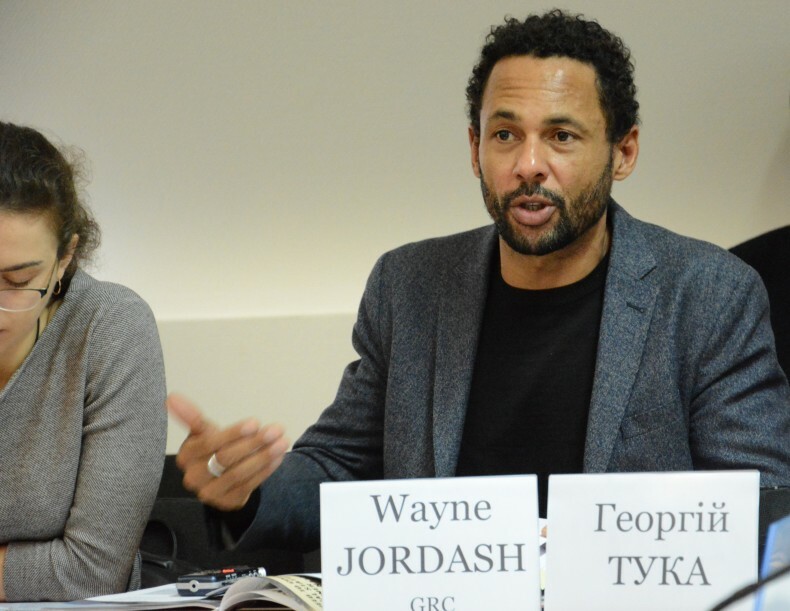 Wayne Jordash, the expert of Global Rights Copliance, explained that international humanitarian law stipulated obligations regarding exchange of prisoners, and the provisions of customary humanitarian law say that the state undertakes to release the prisoners after the end of active fighting. Wayne Jordash said that history also shows cases of successful exchange during fightings. The expert mentioned the experience of Israel to exchange the captured terrorists of Hamas and Hezbollah. He drew particular attention to the Israeli-Lebanese conflict. Dmytro Kulish, the former prisoner of war and soldier of battalion “Donbas” said that Ukraine is precisely at war. “In 2014, I conducted regularly battles with the regular Russian army,” he said. He said the leaders of the so-called “people’s republics” do not take any independent decisions on exchange of captives. The Russian Federation gives all instructions for political pressure on Ukraine. Dmytro Kulish said that there are proofs of the death penalty of Ukrainian soldiers by beheadings in areas of the occupied territories, where the Armed Forces of the Russian Federation were seen. 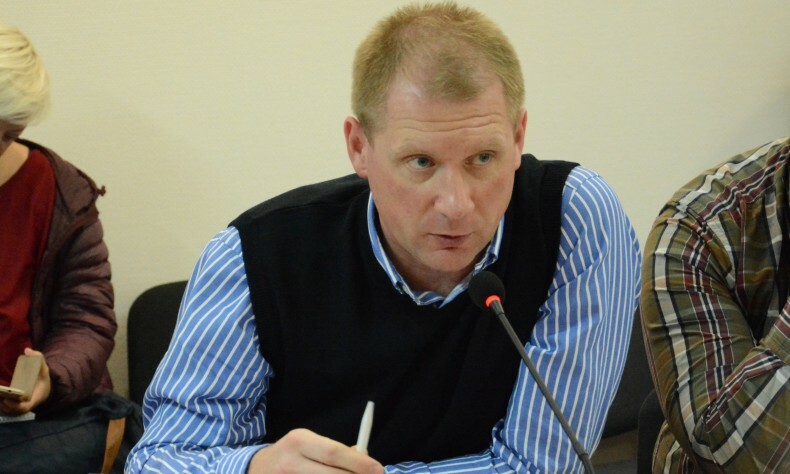 Oleh Huschin, the representative of the Legal Department of the General Staff of the Ukrainian Armed Forces of the Ministry of Defense, said they have enough evidence of international conflict, namely war, with Russia. These are the Law of Ukraine “On the occupation of AR Crimea and Sevastopol,” four statements of the Verkhovna Rada and 2 statements of the National Security and Defense Council of Ukraine on the military aggression of Russia against Ukraine, and statements of the President on the international conflict. These are also judgments, where people recognized the victims of the aggression. However, in practice, according to Oleh Huschin, we are fighting terrorism, which, for example, shows no camps of captives and the use of the term “hostages” that is not possible during an armed conflict. In the end, he advises the state, with signs of different types of conflict, decide on one option and not to use different areas of law simultaneously. Wayne Jordash recommends Ukraine to refuse further using of the term “anti-terrorist operation” and classify events in the East as “a mixed international conflict”, when the occupation of the Crimean peninsula is undoubtedly an international conflict. The moment of legalization of exchange procedures was voiced by the representative of the human rights organization “Vostok SOS” [East SOS]. She reminded of cases where residents of the liberated territories of Ukraine were accused of committing a terrorist act and were used as an “exchangeable recourses” without their consent, were sent to the occupied territories. 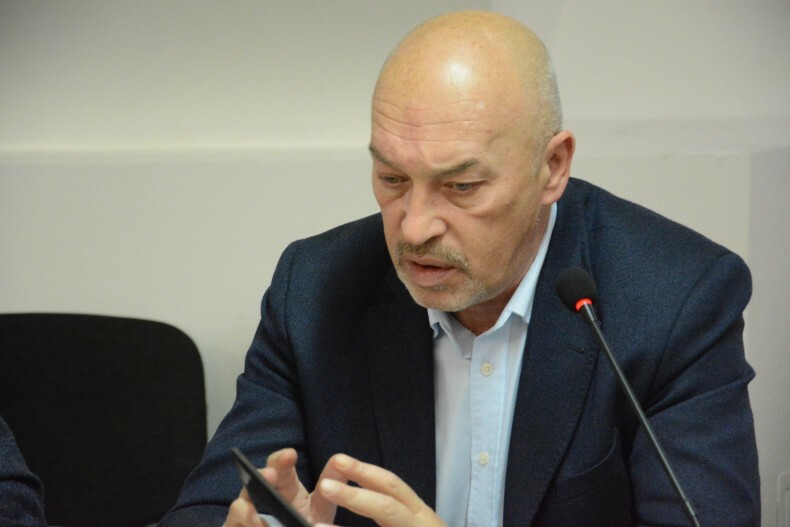 Heorhii Tuka, Deputy Minister for the temporarily occupied territories and IDPs of Ukraine, said that he has observed unconstructive position by certain NGOs. He considers that some of the immediate requirements for the state are speculations. “Nowhere and never in the world the exchange of captives and hostages held transparently”, said Heorhii Tuka. He stressed that public authorities raise the issue of captives every day. The Deputy Minister pointed out the latest information provided by the Eastern Human Rights Protection Group about the presence of a group of captives in the occupied territories, which already operates the Security Service of Ukraine. Heorhii Tuka thanked UHHRU for the represented report.